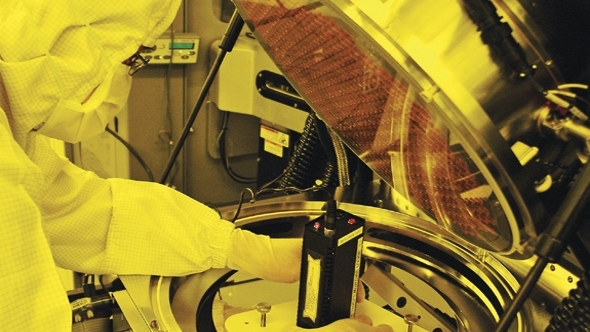 Semiconductor manufacturer GlobalFoundries has confirmed its 7nm process will be shipping products by the end of 2018 – the first of which is set to be an AMD processor. While TSMC is currently still roped in to produce AMD’s first 7nm Vega GPU, similarities in 7nm process manufacturing could lead to two foundries producing identical product for team red down the line. Lisa Su confirmed earlier in the year AMD would be splitting 7nm product lines across multiple foundries – at great expense due to AMD’s deal with GloFo made when the two companies split. Initially, we assumed this to mean CPU manufacturing would end up in the hands of GlobalFoundries and GPU production diverted off to TSMC. Building an all-red rig? Here’s the best AMD graphics cards of 2018. AMD’s first 7nm product is set to be the machine-learning Vega card built using TSMC’s 7nm tech, and GlobalFoundries has now confirmed that it will be producing a 7nm AMD processor – all according to plan then. This is likely to be AMD’s first samples of Zen 2, as the company confirmed that it would be sampling these chips before the year’s out. However, the 7nm process split may not be quite so clear cut between AMD’s CPU and GPU production as first expected. Gary Patton, CTO of GloFo, confirmed in a recent interview that GlobalFoundries 7nm process has been technologically aligned close to TSMC’s to allow for this cross-manufacturing to work unfettered. “[AMD] will have more demand than we have capacity, so I have no issues with that”, Patton says in the interview with EETimes regarding the manufacturing split. This essentially means both fabs can be more reactive to demand from AMD and their 7nm product stack, rather than the company getting bogged down when GlobalFoundries, for example, reach capacity on their 7nm node. This could have a knock-on effect for enthusiasts, especially if these two 7nm processes do not perfectly align in performance when used within the same product die. For example, a Ryzen 5 3600 CPU manufactured by GloFo may overclock upwards of 5GHz (I’ll admit, this may be a little exaggerated), while an identical Ryzen 5 3600 manufactured by TSMC may only overclock up to 4.8GHz. If that’s the case, we’re all back to scouring serial numbers for the best chips with the highest potential overclocking chops based on where and when they were made. It’s still possible that, while TSMC and GloFo both have the facilities to produce the entire scope of AMD’s product stack, AMD will stick to its word and the two fabs will manufacture “different product lines” as AMD CEO, Lisa Su, said back in January. That should mean no two fabs will be working on the exact same silicon (for the same product) at any one time. But in the end, this doesn’t necesarily preclude identical product dies from being manufactured by both foundries at different points in time, and the difference in process may lead to palpable differences when it comes to performance and overclocking prowess. Regardless of that, higher capacity and not being tied down to a single fab with a difficult new tech, such as 7nm and EUV production, is still a good thing for AMD. 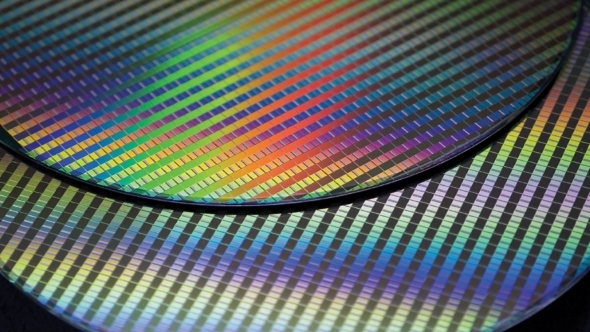 The company is very confident that 7nm product manufacturing, which almost its entire product stack will be dependent on from 2019, will be stable enough to deliver when demand surges.